Giving students jobs in the classroom is important for a variety of reasons. Not only can classroom jobs be helpful in keeping the classroom running smoothly, they can also give students a sense of purpose and responsibility. 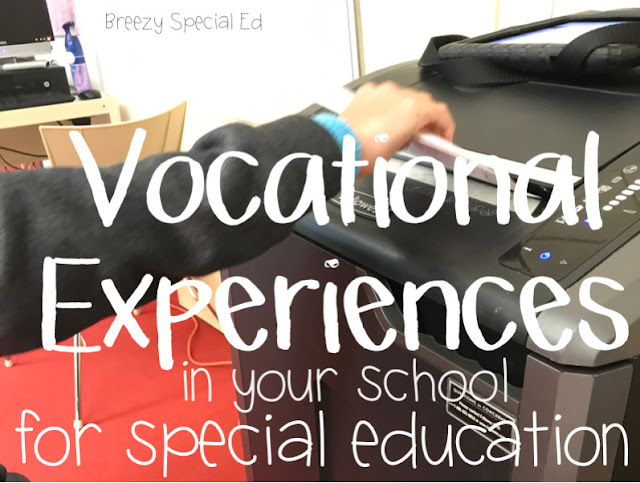 There are two main categories of school jobs for students in special education: classroom jobs done either in the morning or afternoon for classroom maintenance, and then work experience jobs that might take up a class period because you are focusing on teaching vocational skills through those jobs. Here's a list on each of those categories to get you thinking of jobs that your students might be able to do in your classroom and throughout your school! Adapting books with symbols helps beginning or reluctant readers read more confidently because of the symbols that go along with the pictures! I use the Widgit Online software to create symbols for all my adapted books. When I found this book, I knew it would be perfect to adapt! I love the message and feel like it is appropriate for all ages, my toddler loves it and I would have used this in my low incidence high school classroom as well. 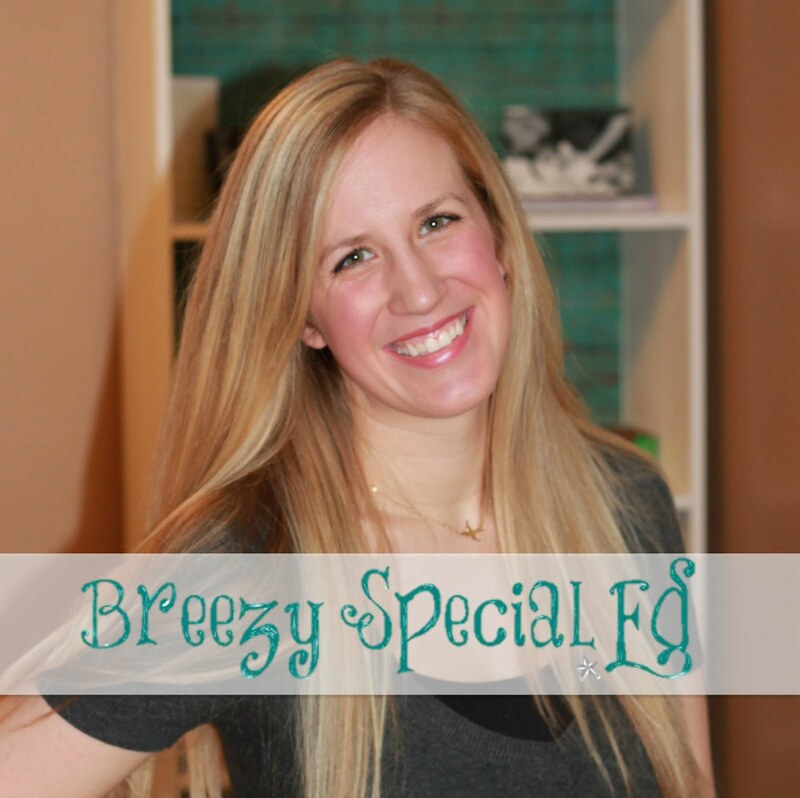 Teach writing and communication skills in a fun, relatable way with your special education students this year! Socialgrams allow for students to express their thoughts on a topic using a familiar social media format, with a picture, short caption, hashtags...and classmates can even add comments! So, how would this look in your classroom? 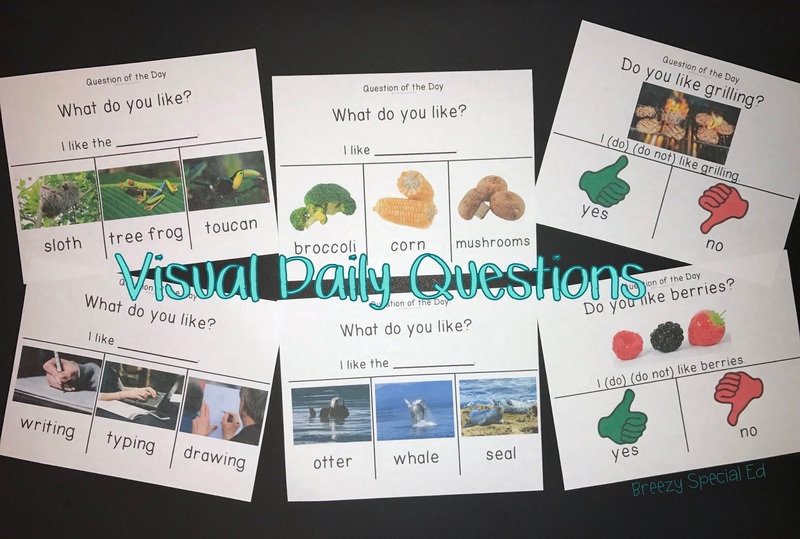 "Last year I was looking to revamp my usual morning meeting routine and I stumbled across your daily questions on TpT. I cannot explain, nor be so grateful for, what this one resource did for my students. In a matter of weeks, their engagement, independence, and above all expressive language improved DRASTICALLY. I noticed how each of my students would participate without fear and even provide unprompted comments! The question of the day quickly became both mine and my students favorite part of the morning. I absolutely love the errorless learning aspect. I put such high expectations on my students everyday but this simple routine truly allows them to be themselves. 1. Cut laminating sheets in half - Only laminating half a page? 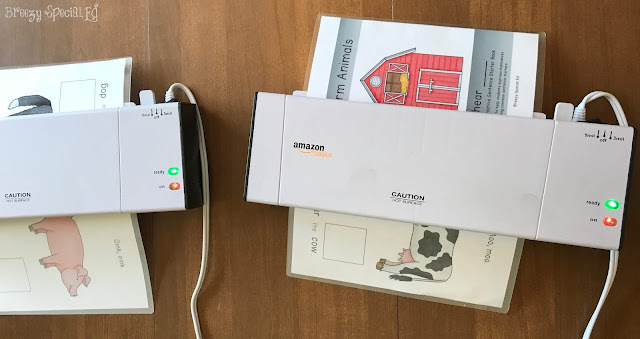 Cut your laminating pouch in half, making sure to leave part of the front section (the folded part you put in first) on each half so that you can still insert each section correctly. 2. Don't cut first when laminating - I know some people will disagree with me here, but I have never cut out all the little pieces first (okay, except for a while when I figured it must be better, but I didn't notice a difference so I stopped!) and I have never had an issue with laminating peeling. So save a step, laminate and then cut! 3. Run two laminators at once - `Cut your laminating time in half by using two laminators at once! When you can grab them at under $20 on Amazon, why not! Then you will have a back up in case one ever breaks on you too. 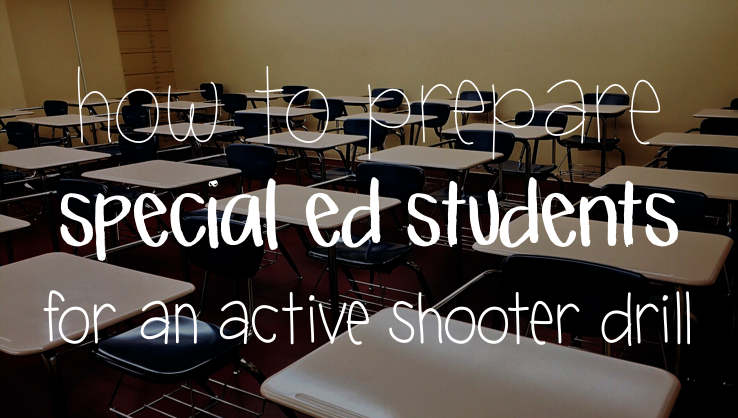 It is a sad reality in our classrooms today that one of the drills we must practice with our special education students is an active shooter / lockdown drill. I'll admit, while I was teaching, this isn't something I took too seriously. I turned off the lights and had students continue to work at their desks, or allowed them to have free time on iPads while I covered up our windows. I didn't want to disrupt my students schedules. Now, I think I would have to take things a little bit more seriously.